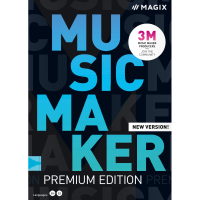 MAGIX Music Maker 2019 Premium is a comprehensive tool for creating, arranging and producing your own music. 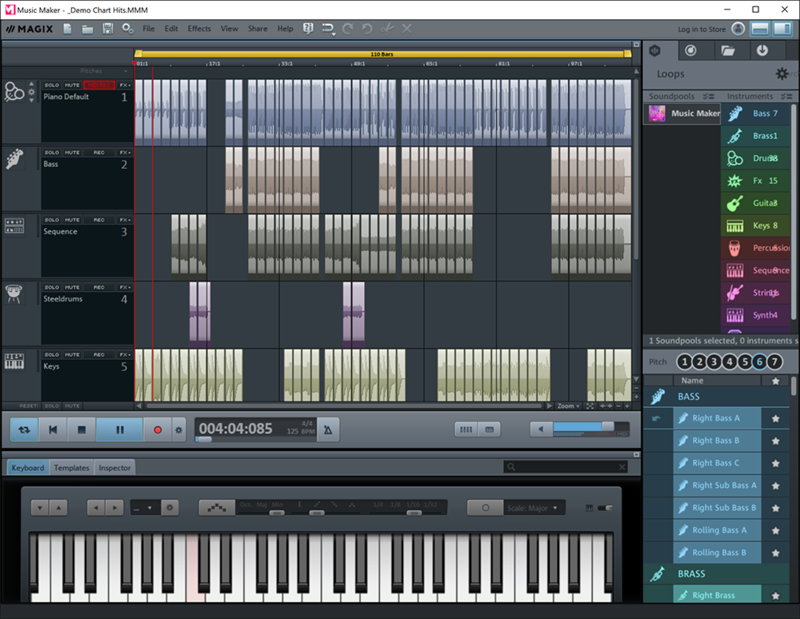 Starting a project can be as simple as dragging and dropping your choice of loops and sounds onto Music Maker's multi-track interface. There are thousands of samples available or you can add melodies of your own, just by dragging and dropping an MP3. Whatever you're doing, the tempo will be adjusting to make sure everything fits, and a host of effects help you achieve the results you need. If the loops aren't enough then you can get creative with some great virtual instruments, covering everything from flutes and a Celtic harp to powerful Vita sample players, assorted synths and Music Maker's own BeatBox 2 drum machine. Recording tools are on hand to record individual instruments or your own voice, with a versatile Vocal Tune 2 module ensuring you're always pitch-perfect. Everything you add can be organised across an unlimited number of tracks, then freely edited and arranged. There are automatic and manual mastering tools (a parametric 6-band equalizer, StereoFX module, limiter, multiband compressor), and you can even mix your songs in 5.1 surround sound. When you're finished you'll want to share your work with others, and MAGIX Music Maker Premium gives you plenty of options. It can export your songs as audio files (MP3, WAV, OGG Vorbis, FLAC, WMA, Quick Time or MIDI), burn them to CDs or DVDs, as the soundtrack to videos, or upload them directly to your Facebook, SoundCloud or YouTube account.